Do you know …. AIA? Do you remember the American Invents Act being implemented in 2011? On September 16, 2011, President Obama signed the America Invents Act. It is a historic patent reform legislation to support American inventors. It basically speeds up the process to receive a patent and gives entrepreneurs and small business owners the chance to bring their product to the market much sooner and quicker. The most significant change which will derive from this law is the change from first-to-invent to first-to-file. It defines who will receive the grant of a patent or an invention. With the first-to-file system, the person who first filed the invention is granted the patent regardless of the date of the actual invention. With this system, products and inventions can be marketed faster and introduced to the public much earlier than before. President Obama hopes to increase the creation of jobs and the competitiveness of United States entrepreneurs in comparison with other countries. The United States Patent and Trademark Office is now working on further reports and studies and is also planning events across the country to discuss the propositions. The events are free and open to the public. Every inventor, entrepreneur and small business owner is welcome to attend and use the opportunity to interact and contribute to the discussions. Registration is not required. For further details about location and timing please look at the USPTO website. Do You Know … Utility Models? There are different ways to protect your intellectual property. The most commonly known is to apply for a patent. But have you heard about Utility Models? In many countries, this seems to be easier and cheaper. A utility model is an exclusive right granted for an invention, which allows the rights holder to prevent others from commercially using the protected invention, without his authorization, for a limited period of time. In its basic definition, a utility model is similar to a patent, but has a shorter term (often six to ten years). In fact, utility models are sometimes referred to as “petty patents” or “innovation patents.” The requirements for acquiring a utility model are less stringent than for patents. While the requirement of “novelty” is always to be met, that of “inventive step” or “non-obviousness” may be much lower or absent altogether. In practice, protection for utility models is often sought for innovations of a rather incremental character which may not meet the patentability criteria. The term of protection for utility models is shorter than for patents and varies from country to country (usually between 7 and 10 years without the possibility of extension or renewal). In most countries where utility model protection is available, patent offices do not examine applications as to substance prior to registration. This means that the registration process is often significantly simpler and faster, taking, on average, six months. Utility models are much cheaper to obtain and to maintain. In some countries, utility model protection can only be obtained for certain fields of technology and only for products but not for processes.To find more information on patents and how to apply, please visit www.inventorhaus.com. Do You Know … Patents? 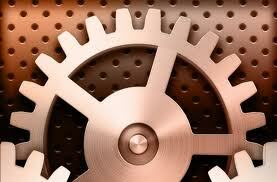 Items that are not feasible, such as a perpetual motion machine, are in general not patentable. Moreover, laws of nature, physical phenomena, and abstract ideas cannot be patented. The invention should be described on the patent application form in such a way that a specialist can understand it. A prototype is not necessary to apply for a patent. The typical lifespan of a patent lasts for 20 years. Fees are higher if the patent is to be protected in a number of countries. 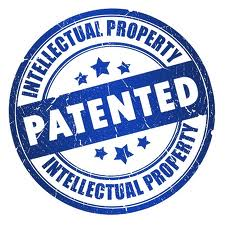 Patent protection is only one tool among many in a comprehensive business plan. However, in order to raise capital, an enterprise may have to protect its technology to prevent exploitation until the capital is raised and the business developed. Capital would be required to set up manufacturing and marketing operations, and patent and design rights should prevent competitors from exploiting the technology until such operations are active, and moreover, profitable. For smaller companies, a patent can be used to take a new or improved product to other markets around the world. Smaller companies have many advantages over larger ones, particularly in their flexibility, and the existence of a patent strengthens its negotiating position with any potential licensees.